Arrival in Tokyo – the capital of Japan! Start your tour of Tokyo where we visit Odaiba – Statue of Liberty, Mega Web & Daiso, Imperial Palace (Photostop) & Senso-ji Temple. After breakfast day free for leisure. Or Option to enjoy a day excursion to Yokohama and Kama Kura. View the great Buddha Statue. Later drive to Yokohama, which is the Japanese city south of Tokyo, was one of the first Japanese ports opened to foreign trade, in 1859. Upon arrival break for contemporary Lunch. After that proceed for a city tour. a)	Yokohama Red Brick Warehouse-The Yokohama Red Brick Warehouse is a historical building that is used as a complex that includes a shopping mall, banquet hall, and event venues. b)	Bay Area-To enjoy the city port with mesmerising view. c)	Yokohama Chinatown-Famous for shopping. After breakfast, check out from the hotel. Later proceed to enjoy an excursion to the country’s tallest peak – Mt.Fuji, at 3,776 meters. Enjoy the weather and landscape of this beautiful country. Enjoy beautiful Lake Aashi Cruise while enjoying breath-taking views of Mount Fuji. After breakfast at Hotel, Check-out & proceed to enjoy a day trip to Kobe. 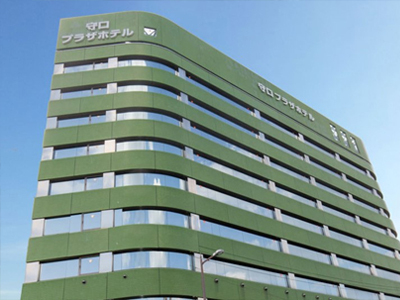 Experience the Great Hanshin-Awaji earthquake Memorial Disaster Reduction Museum, The Disaster Reduction and Human Renovation Institution educates visitors about the tremors that plague Japan and what can be done to prevent widespread disaster. 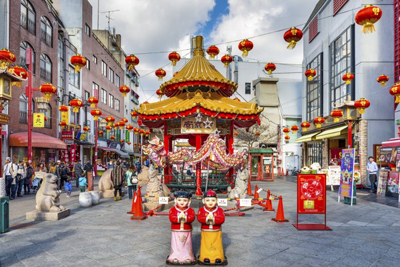 The recovery of the Kobe people is captured in a documentary film and interactive games teach future generations what they can do to minimize the impact of earthquakes. Later in evening drive back to Osaka. 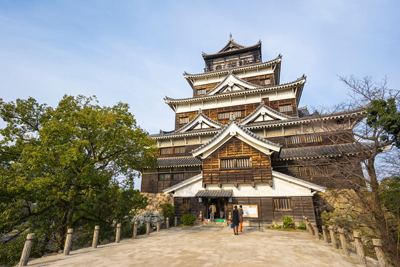 After breakfast at Hotel proceed to enjoy a day trip, experiencing the nature and long- established history in Hiroshima – a modern city on Japan's Honshu Island. Hiroshima Atomic Park which is best known as the first city in history to be targeted by a nuclear weapon when the United States Army Air Forces (USAAF) dropped an atomic bomb on the city on August 6, 1945, near the end of World War II. Proceed back to Kobe by Bullet Train. After breakfast at Hotel proceed to enjoy a day trip of Kyoto & Nara. Enjoy Kyoto’s famous classical Buddhist temples, traditional wooden houses. 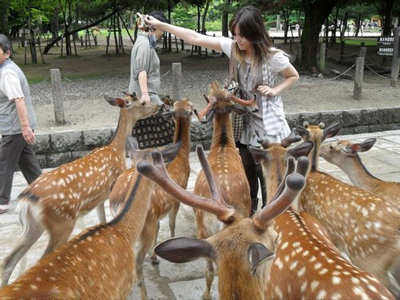 “Nara” – the park is famed for its free- roaming deer population, this is where you’ll find the majority of Nara’s attractions, spread throughout the picturesque, tree-lined park. After breakfast at Hotel, check out from the hotel and proceed back to Tokyo by coach. Upon arrival, dinner at Indian Restaurant. Check-in to your hotel at Tokyo. Check out & proceed to airport to board your flight back to India. BOOKING & CANCELLATION POLICY - 61 to 90 days or more from date of departure - GREEN ZONE - Only booking amount will be deducted. NOTE: Single Passenger 30000/- INR Extra. 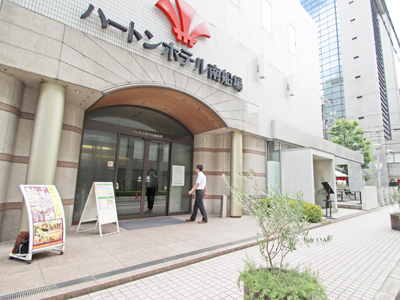 *NOTE: - PASSENGERS OPTING FOR YOKOHAMA & KAMAKURA WILL GET 1 EXTRA CONTEMPORARY LUNCH. Important Notes: Above rate are subject to the availability of hotels & trains. Client has to reach on own at the departure point of tours. City tax are directly payable by client to the Hotel.